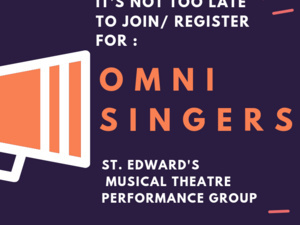 It's Not Too Late to Join / Register for OMNI SINGERS!! *No Audition or Instructor Approval required. Come and see what we're all about! It's not too late to register!